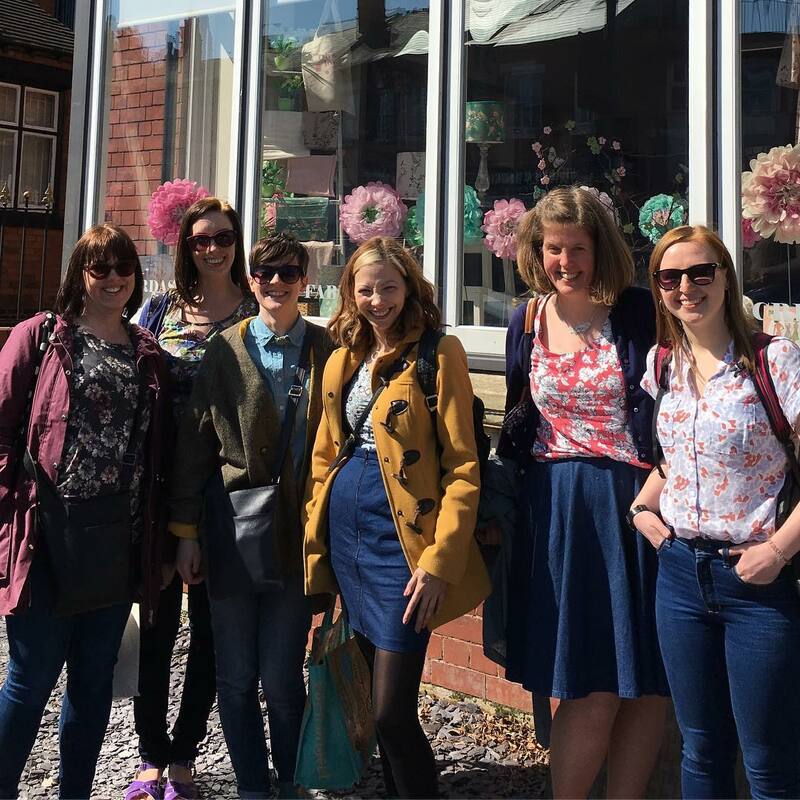 Last Saturday I went with some of the ladies I met at Sew Brizzle to go fabric shopping in Birmingham. I was sad to have missed the bigger meet up the previous week but in a way it was nice to go in a small group as it gave me the chance to chat with everyone (which I didn’t manage to do the time I went to a big London meet-up). From left to right: Karen, Amy, Me, Sarah, Ruth and Jen. Our first stop was Fancy Silk Store. 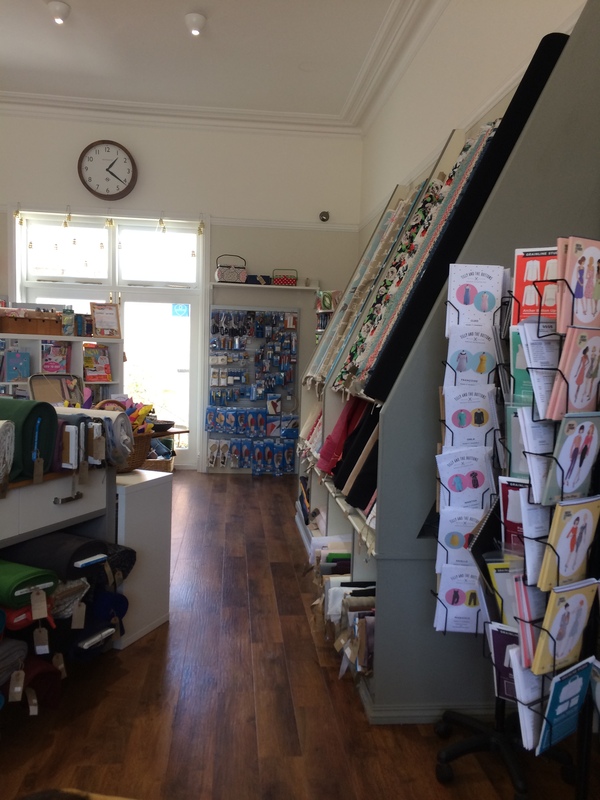 I felt a little overwhelmed when we first went in as it’s deceptively big – and has an upstairs – and I couldn’t take everything in! I did spot that they had reasonably priced denim and after we’d been around some other shops, we circled back and I bought some stretch and non-stretch denim for Ginger and Morgan wearable toiles. 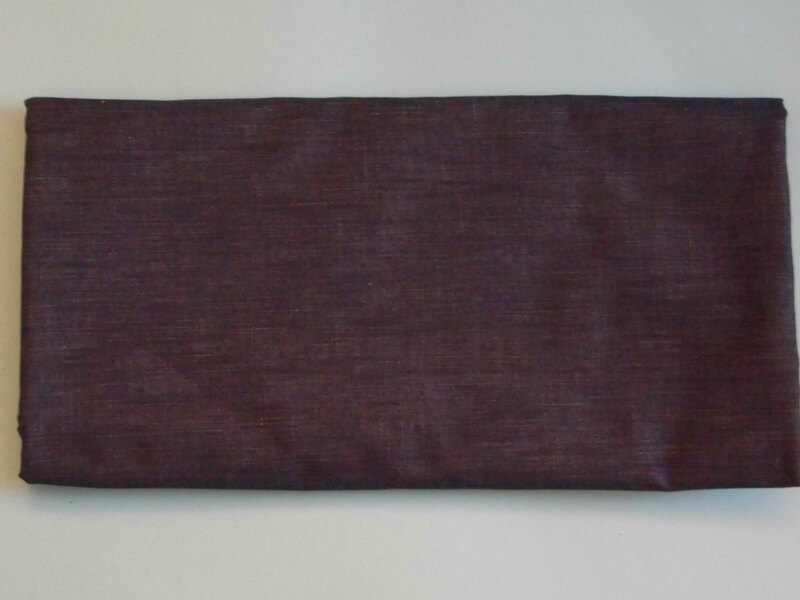 This is the stretch one – it has a nice flecked weave and looks a little like linen, but is thicker. It was £6.99 per metre and I got 1.4m. And this is the non-stretch. I did want something a bit lighter for my Morgans, but this will do for a practice. It is a little lighter than the stretch one. It was £7.99 per metre and I got 1.6m. After this first shop we headed into the rag market, where there are loads of fabric stalls, inside and out. I had made the mistake of not taking out any cash as I thought if I did I wouldn’t buy anything! But I did have enough to get some black and some white cotton twill (I think it was twill and not drill, anyone know the difference?!). I’m planning a 60s style colour blocked Tilly and the Buttons Megan Dress. 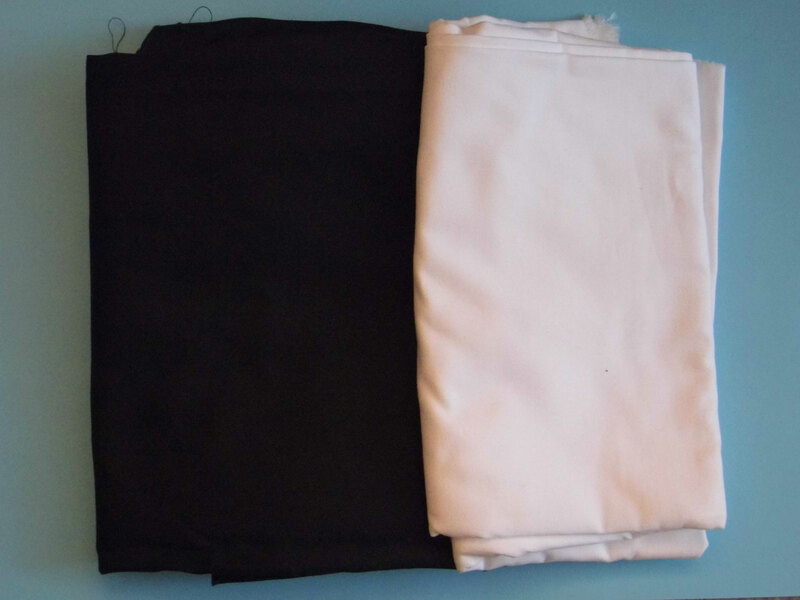 I bought 2 metres of the black and one of the white, and it came to £12 in total (so £4 per metre). I bought this fairly early on and for some reason it weighs loads, so I got pretty sick of carrying it around by the end of the day – I was glad I waited until the end to get the denim! After the rag market, we all got on a bus and went to Moseley to visit Guthrie and Ghani. I was not-so-secretly hoping we would go there, and I’m so glad I was with people who knew how to get there! I just followed 🙂 I could easily have spent a small fortune in Guthrie and Ghani – you can tell everything is really good quality. 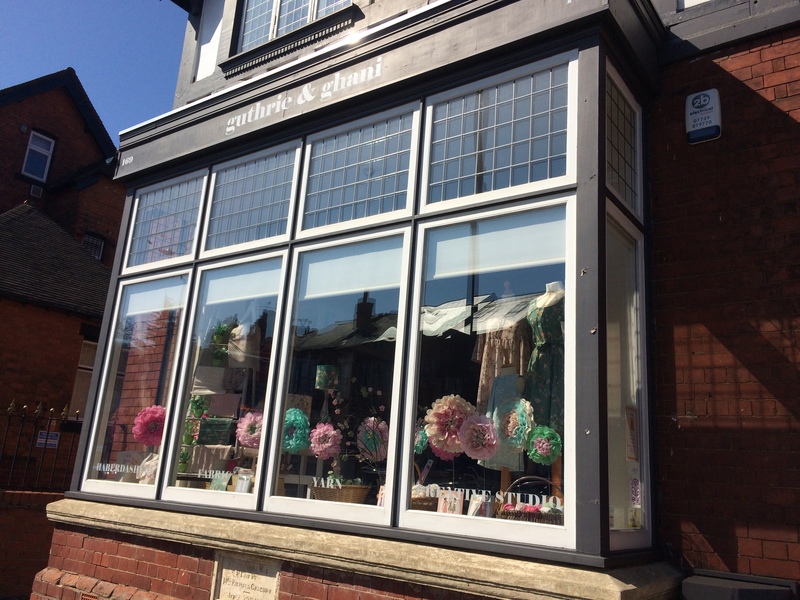 And the shop is so pretty! 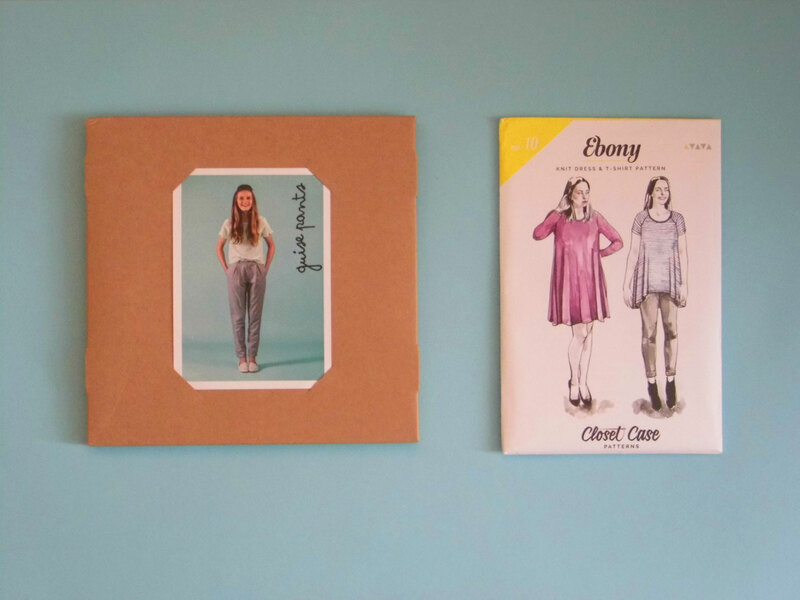 I decided to treat myself to a couple of patterns which I wanted – the Ebony Tee and Dress by Closet Case Patterns and the Guise Pants by Papercut Patterns. They have a really great selection of remnants and I couldn’t help picking up a couple of them. 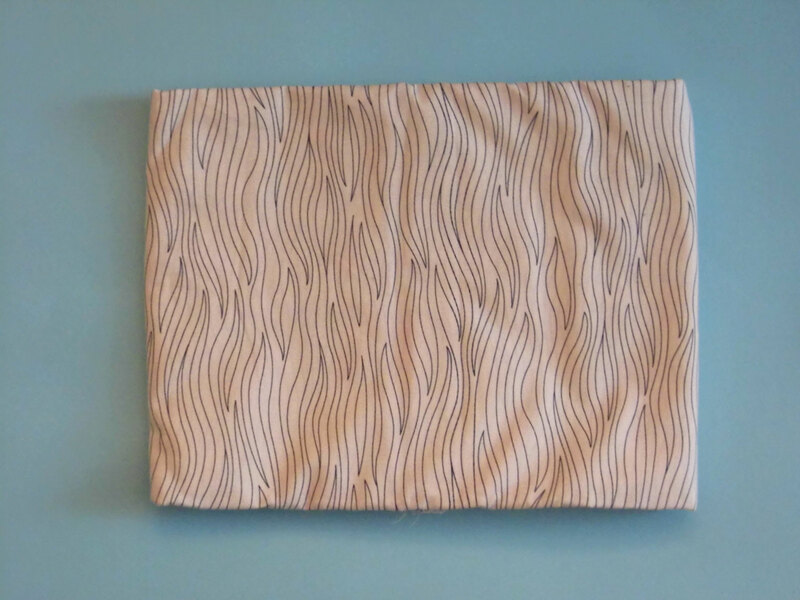 I just loved the pattern on this Robert Kaufman cotton. It’s navy blue, though it looks kind of black in the photo. It seems to be called Storm Drown, and I can’t find it anywhere online so I guess it’s not available. This bolt end was 275cm x 90cm and was £15.50. I’m hoping there will be enough for a Colette Aster blouse. I also couldn’t resist this gorgeous mustard loopback jersey. The photo doesn’t do the colour justice, nor how soft it is. It’s honestly one of the softest fabrics I’ve ever touched. 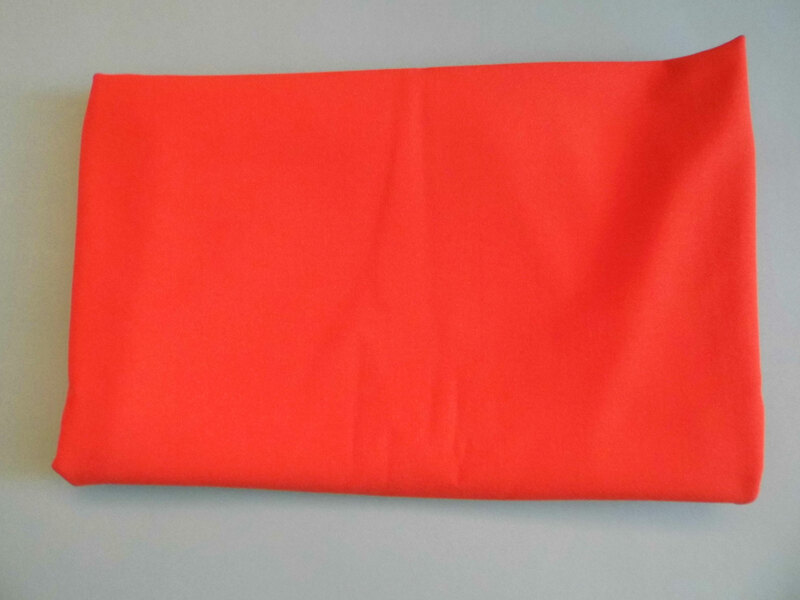 It was £6.50 and there’s only 155cm x 40cm so I’m not sure what I’ll be able to make, but I had to have it. 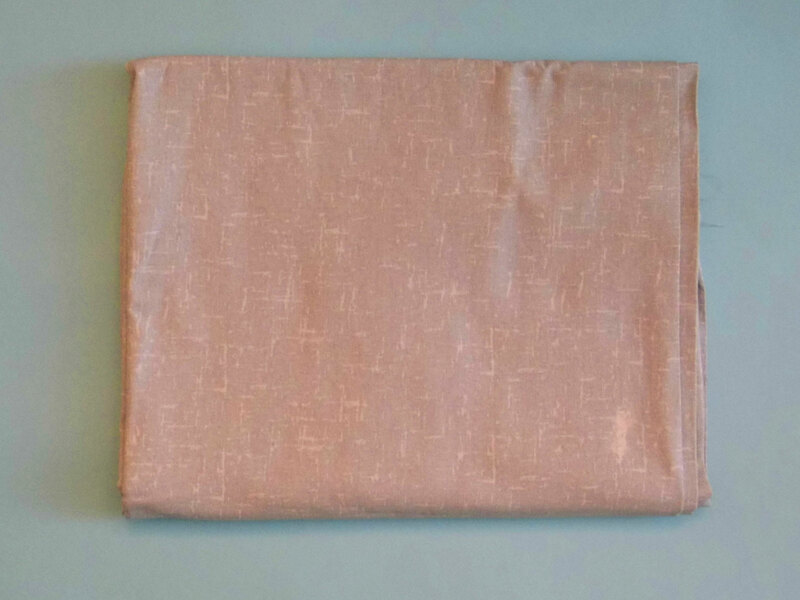 The final thing I bought from Guthrie and Ghani was this coral crepe fabric. It has a lovely drape and a slightly mottled texture and I got 1.7m of it at £10.50 per metre. 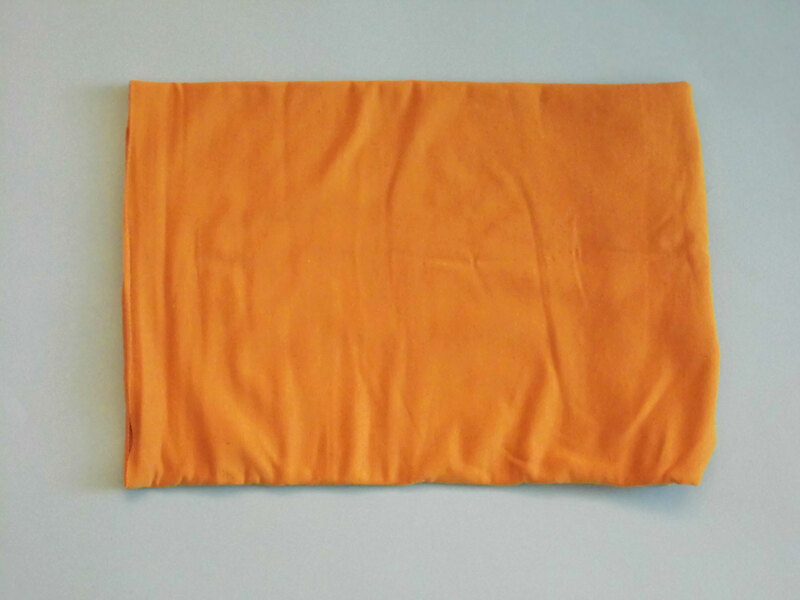 This is one of the more expensive fabrics I’ve bought, but the Anderson Blouse I’m planning to make will still only cost £17.85 which is pretty good for a blouse made of such nice fabric! 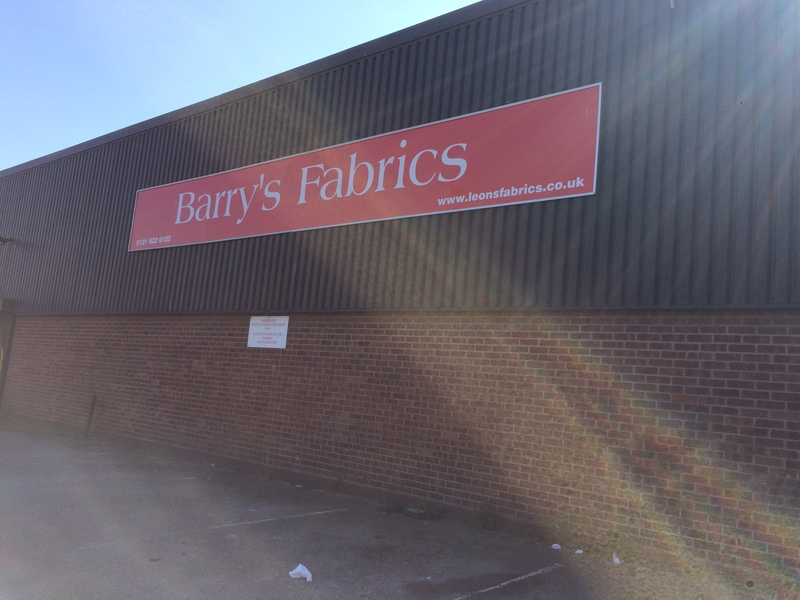 The last fabric shop we went to was Barry’s. I would have no idea how to find it on my own, but it’s definitely a hidden treasure! 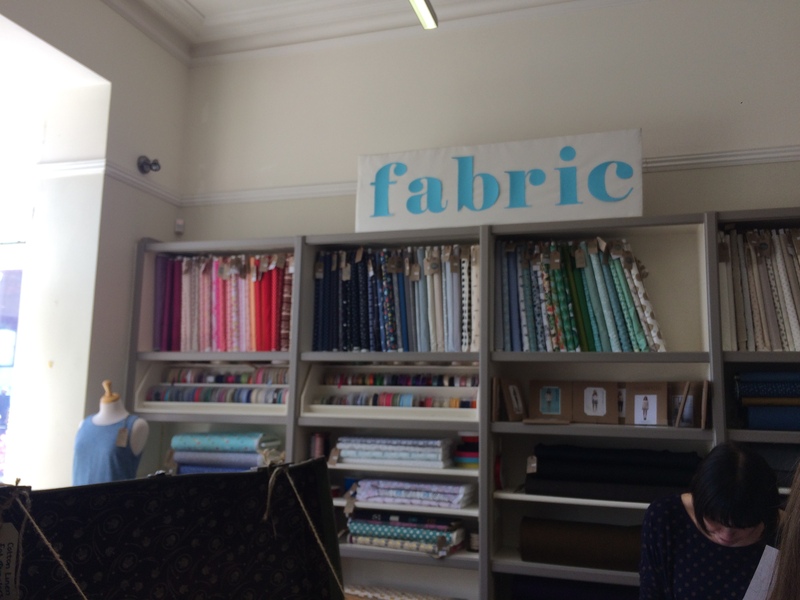 This is another shop that is very, very full of fabrics and I think you could easily spend 4 hours in there and still not see everything! I did manage to find one treasure, thanks to Jen (Gingerella). It’s this nice blueish-greyish cotton and I bought 2 metres – I can’t remember how much I paid, though. I think I’ll make a short-sleeved Melilot Shirt for when the weather finally gets warm! So there we go, that’s my haul for a day’s shopping. Not too bad I think. 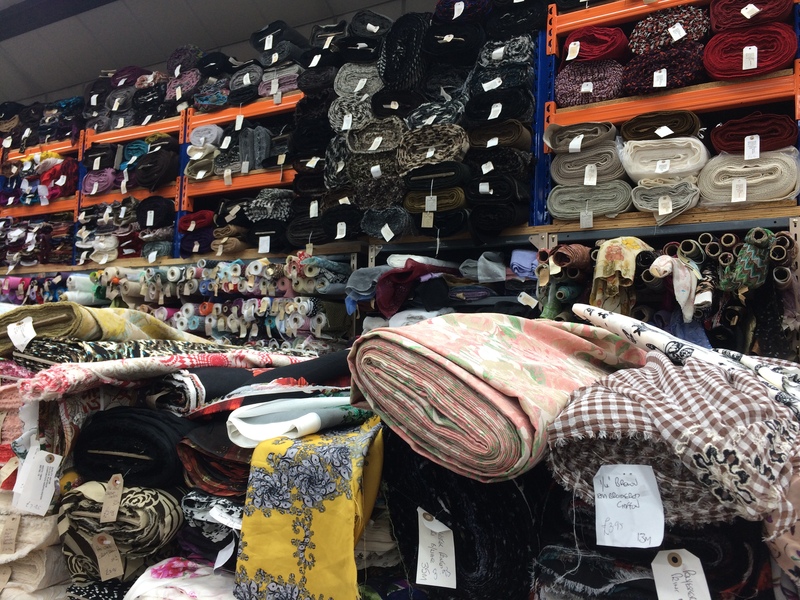 Have you been fabric shopping in Birmingham? Did we miss anywhere good? 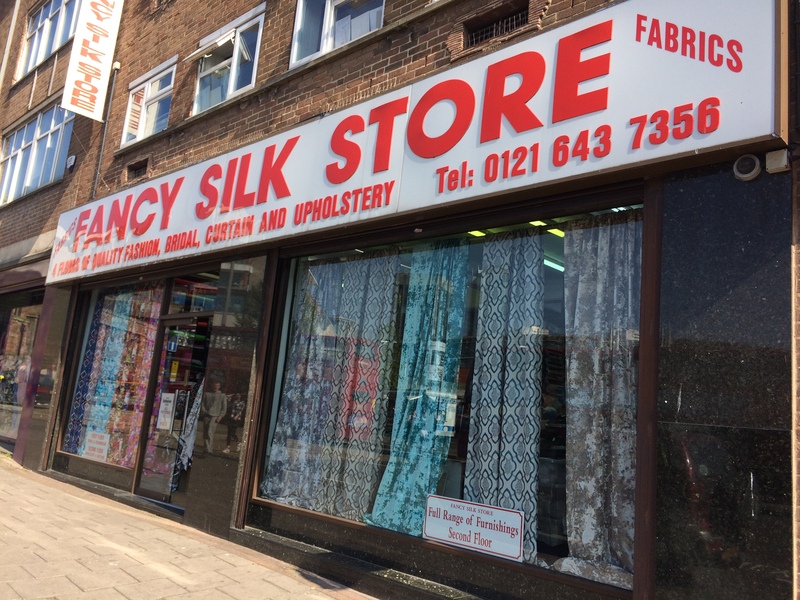 I live not far from Birmingham so I’ve been to Fancy Silk Store but not the others you mentioned. I dread going to B’ham but the pull of so much fabric sometimes wins! I spent about an hour in Fancy Silk Store and felt overwhelmed by the choice! 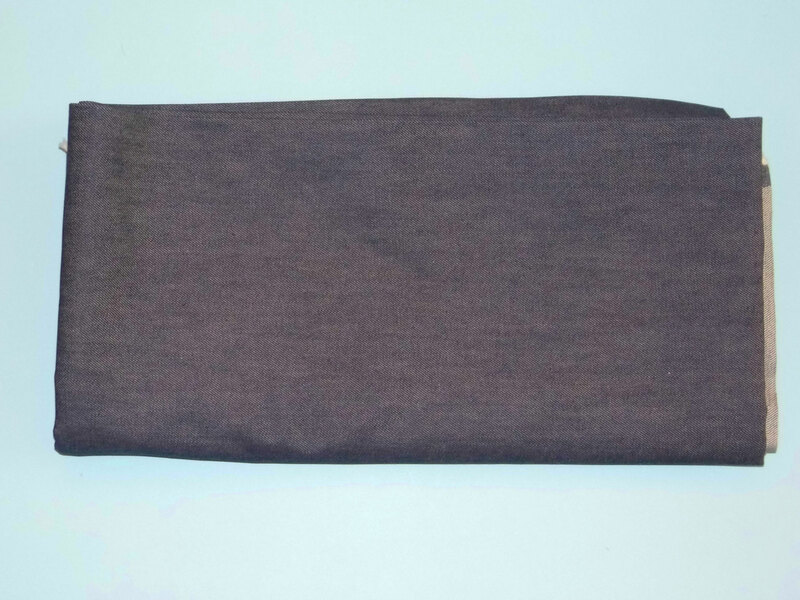 I bought some solid grey fabric for a blazer I’m making, which was very reasonably priced. Only off putting thing was the family who run it were having an argument at the time, which was uncomfortable! I think it would be worth exploring the other places in Birmingham every now and then, but maybe not on a Saturday! I definitely felt overwhelmed in Fancy Silk Store, and I always feel intimidated when fabrics aren’t all labelled by type or price, because then I don’t really know what I’m looking at. I also kind of agree about the staff – on the second floor it was really difficult to tell who was staff, and the chap who cut my denim wasn’t the most communicative! Glad you enjoyed visiting some of my favourite shops. Looks like an awesome day, I’ve not been Birmingham before but would love to just for the fabric shops! You’ve brought some great pieces. You should go for the fabrics, but I would recommend taking someone who knows the city as I think going on my own would have been too scary!